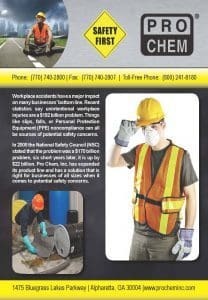 MEAN GREEN | Pro Chem, Inc. MEAN GREEN can dissolve snow and ice in minutes, even when temperatures dip below 0°F. 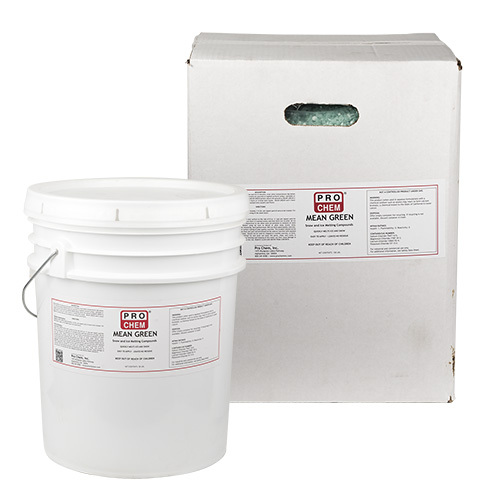 Distribute the product evenly on concrete or asphalt surfaces using a spreader, or simply use your hand and toss the pellets about the ground. MEAN GREEN is noncaustic to skin so it won’t harm or irritate bare hands. It will not leave behind a residue that can be tracked onto carpets and floors. All ice melting compounds are impractical to use when snow accumulates to amounts of more than two inches so be sure to shovel or plow away excess snow. Spread pellets evenly with scoop shovel, or mechanical spreading equipment at a rate of ¼ ounce per square yard. For ice removal, use 8 ounces per square yard. Do not overspread MEAN GREEN.